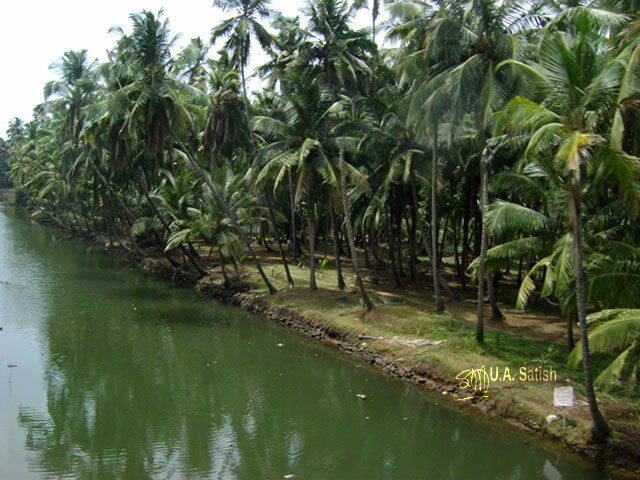 I travelled by train from Mumbai to Kannur. 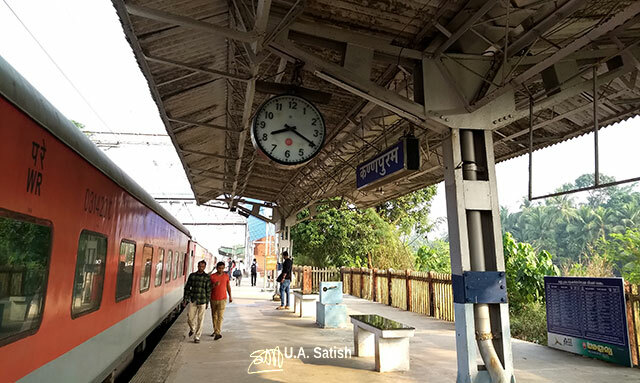 The boarding point was Vasai Road station. Indore-Kochuveli Express 19332 DN was on time. 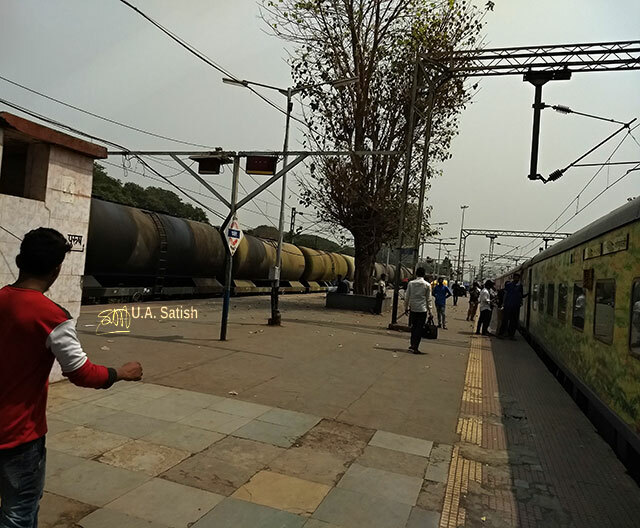 It is a weekly express, leaving Indore on Tuesdays and reaching Vasai Road at 11:20 hours the next day. 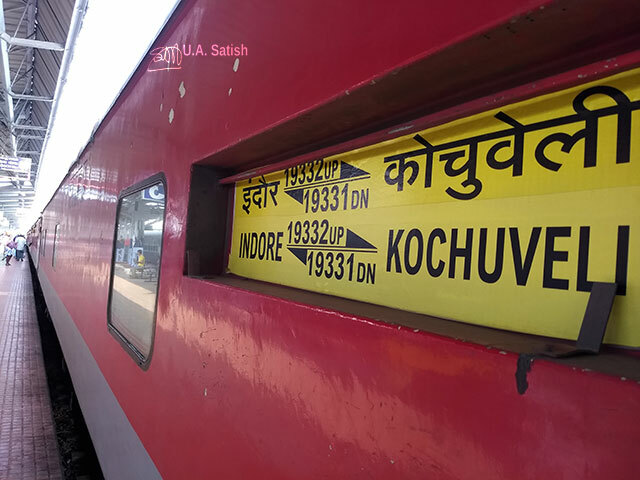 Indore-Kochuveli Express has 18 bogies. Six of these are air conditioned coaches with sleeper facilities. 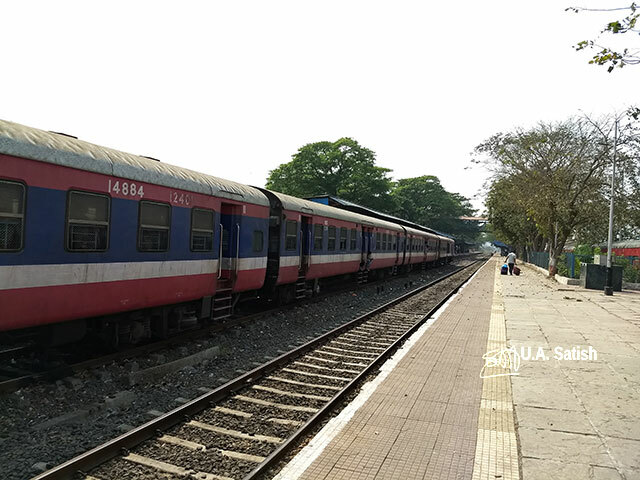 Seven non-ac sleeper coaches, a pantry car and three unreserved coaches make up rest of the train. A diesel-electric locomotive leads the train. You can reserve tickets online at Indian Railways’ ticketing site. Booking begins four months in advance. The tickets show the coach and berth numbers. Passengers may print tickets at home. They have to carry an identity proof during their train travel. There are no annoying baggage checks. Ticket examiners want valid tickets and never bother about the baggage. Luggage storage is under the seats. Heavy luggage can be checked in on the brake van of your train. The coaches have washrooms on both ends. Usually one of them has a European style closet. In general, do not expect to find toilet rolls in the washrooms. The train from Mumbai to Kannur has a pantry car. It serves hot meals to the passengers at their seats. The menu is limited and includes vegetarian as well non-veg dishes. Passengers have to pay for the meals in cash. They also have the option to buy food from the stalls on stations enroute. The train from Vasai Road to Kannur covers a distance of 1,024 km. Travel time during the monsoon period is 20:50 hours. The train stops at 11 stations in between and goes through the states of Maharashtra, Goa, Karnataka and Kerala. The route is parallel to Arabian Sea. The first stop after leaving Vasai Road is Panvel. After that, the train halts at Roha. 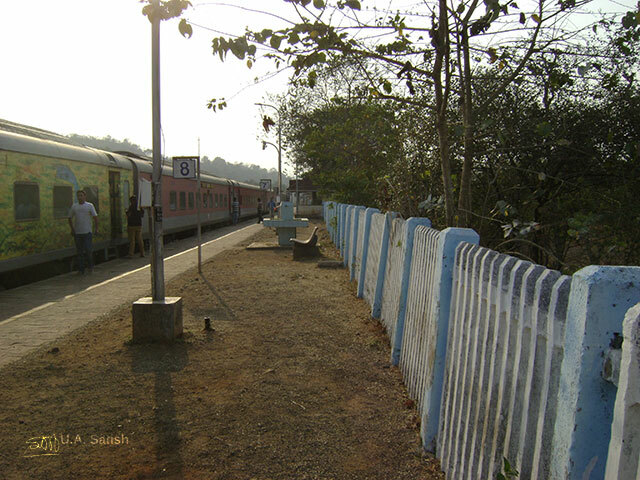 Konkan Railway begins here and continues till Mangalore. 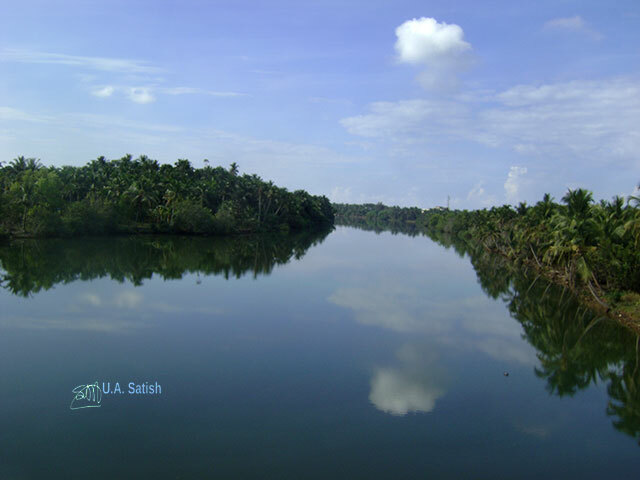 The landscape is scenic with mountains, creeks, rivers, valleys and rice fields. The Konkan line passes through 91 tunnels. 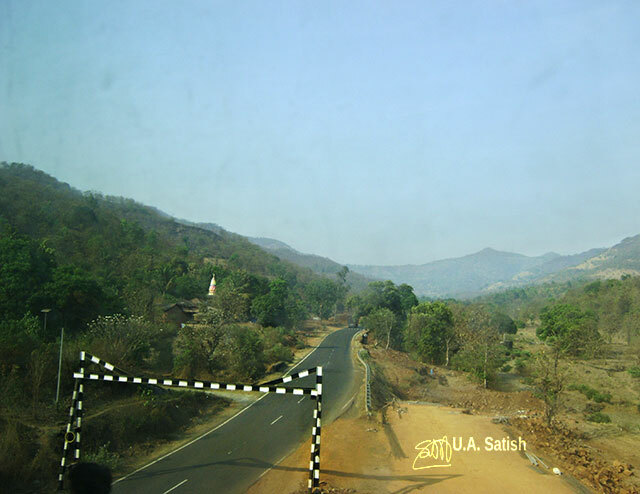 Karbude Tunnel near Ratnagiri stretches for 6.5 km. The train reaches Madgaon at midnight. Mangalore should be at 06:30 in the morning. You are in Kerala when the train stops at Kasaragod at 07:10 hours. We reach Kannur at 08:20 hours.